The 1/2 in. Socket Rail is a great way to keep your sockets organized and handy. This convenient tool features ball bearings on socket tags to hold sockets in place, which helps prevent them from getting lost. It is colour coded by drive size for improved organization. The Husky 1/2 in. Drive 10 in. 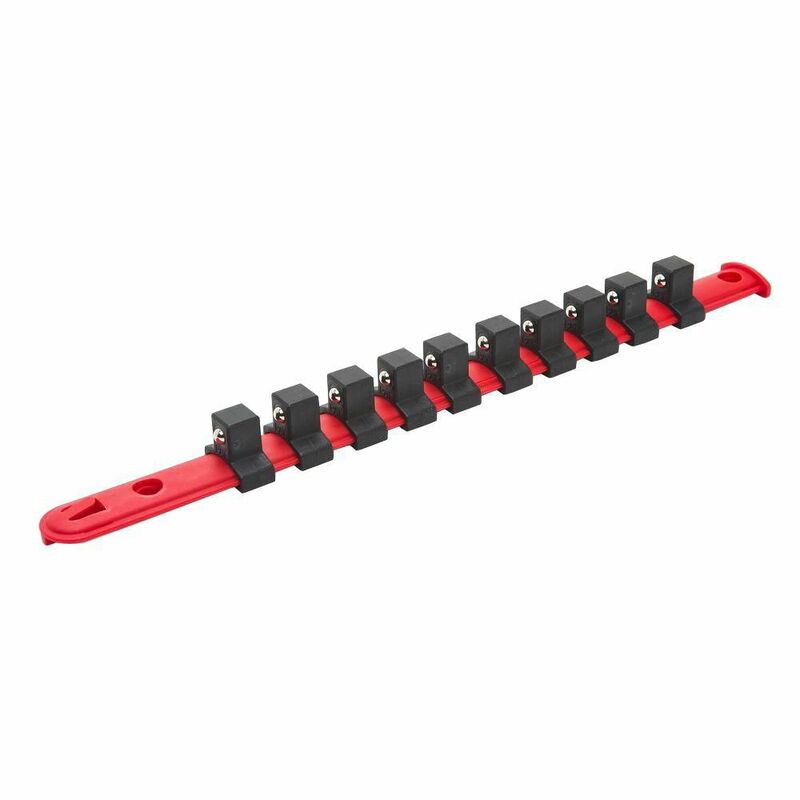 Extension provides added length to your sockets for hard to reach fasteners. The tool is made of alloy steel for added durability and a long life. The polished chrome finish provides a professional look and helps to resist corrosion. Socket Rail 1/2 Inch The 1/2 in. Socket Rail is a great way to keep your sockets organized and handy. This convenient tool features ball bearings on socket tags to hold sockets in place, which helps prevent them from getting lost. It is colour coded by drive size for improved organization.